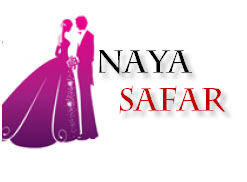 Nayasafar.pk is the online matchmaking website offering the platform to search and meet the perfect spouse. The database of online girls and boys rishtay in Pakistan has provided the source to find either Muslim girls’ rishta in Pakistan or Muslim boys’ rishta in Pakistan. Now you do not need to search via rishtay auntie and bear her attitude. You just have to make a profile and let your just right life partner come to you. You can search by caste, such as Arain Rishta, Sheikh Rishta, Mughal rishta, Rajput Rishta, Syed Rishta, Khan Rishta, etc. Just explore the posted profiles and find your Mr. right or Miss perfect via online rishta service in Pakistan.